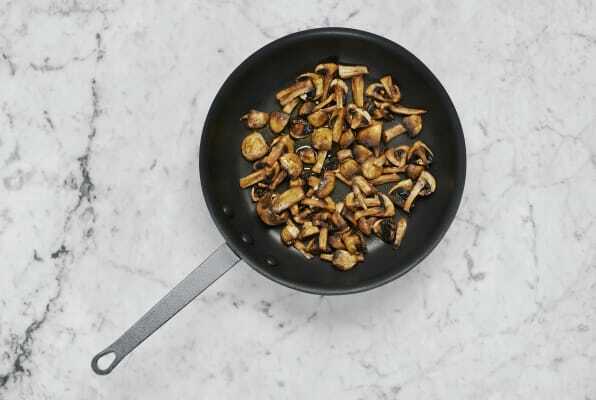 Umami is defined as that hard-to-describe flavor that makes it impossible to put down your fork. Not sure if you’ve ever experienced the ‘fifth taste?’ After one bite of this dish, you’ll totally understand the obsession. 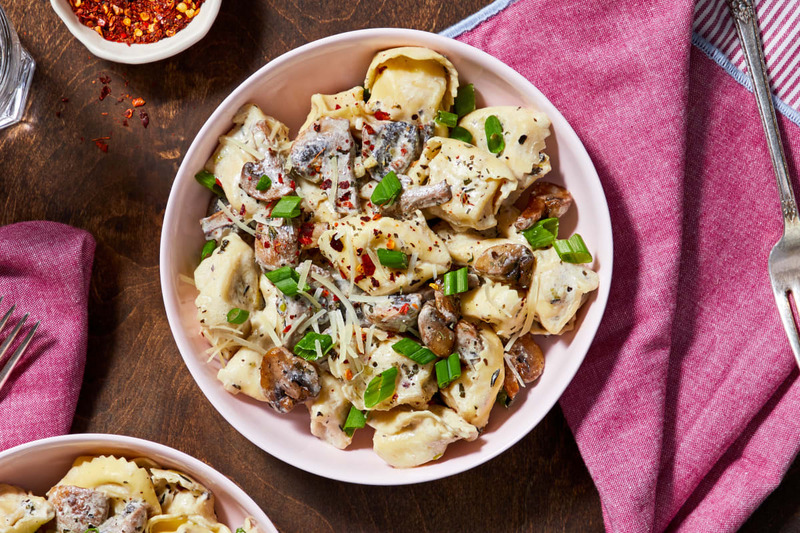 Tender cheese-stuffed tortelloni is tossed in a creamy sauce that’s dotted with bites of earthy mushrooms. The finishing touch is a scattering of crunchy scallion greens, plus chili flakes for a kick. Talk about savory bliss. Plus, it cooks up in no time. What are you waiting for?! 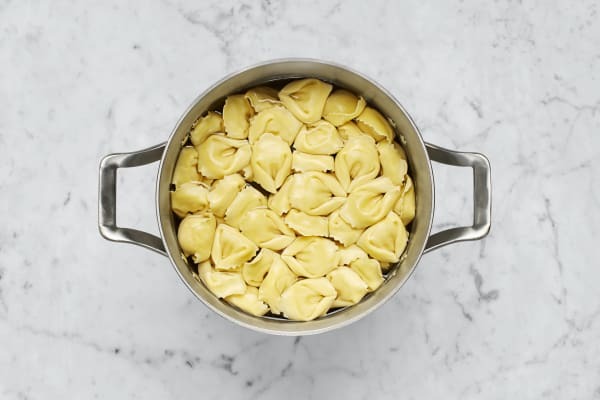 Meanwhile, add tortelloni to pot of boiling water. Reduce heat to a simmer and cook until tender and floating to the top of the water, 3-5 minutes. Turn off heat, leaving pasta in water. 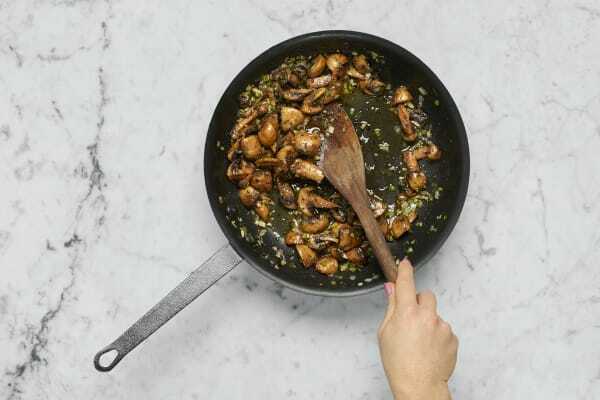 Add garlic, scallion whites, half the Italian Seasoning, and 2 TBSP butter to pan with mushrooms. 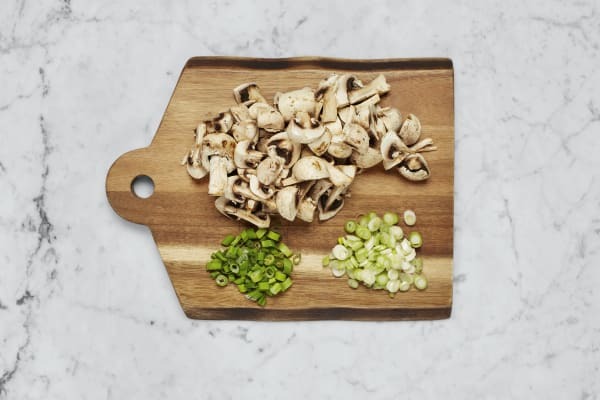 Cook on medium-high heat, stirring, until scallions are softened and butter has melted, 1-2 minutes. Season with salt and pepper. Reduce heat to low. 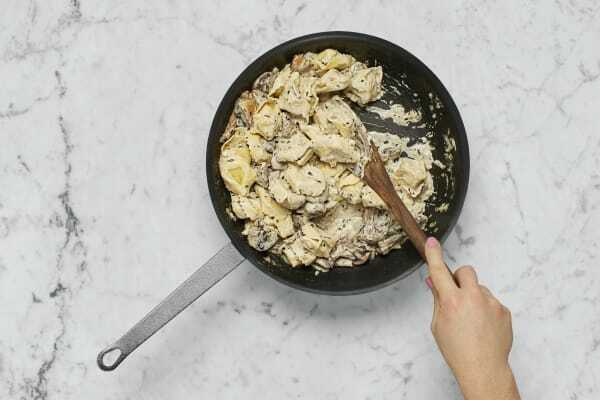 Stir cream cheese, sour cream, ¼ cup pasta cooking water, and 1 TBSP butter into pan until thoroughly combined. Using a slotted spoon, gently transfer pasta to pan. Carefully stir to coat in sauce. Season with remaining Italian Seasoning, salt, and pepper. Divide pasta between bowls. Sprinkle with Parmesan and scallion greens. 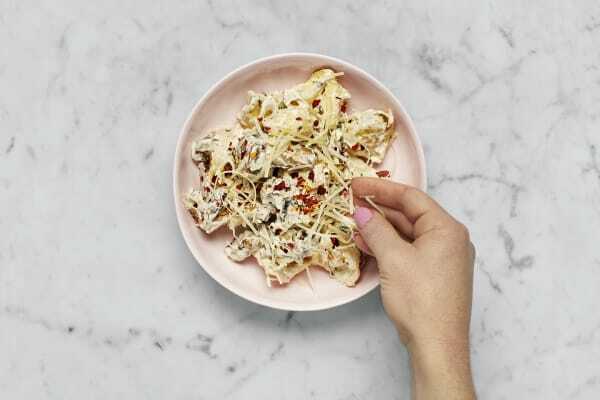 Top with chili flakes (to taste).